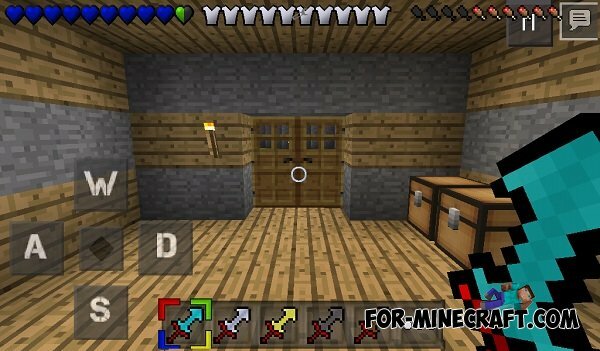 PvP Texture Pack adds to Minecraft Pocket Edition a unique weapons texture that will make the game in the style of PvP. 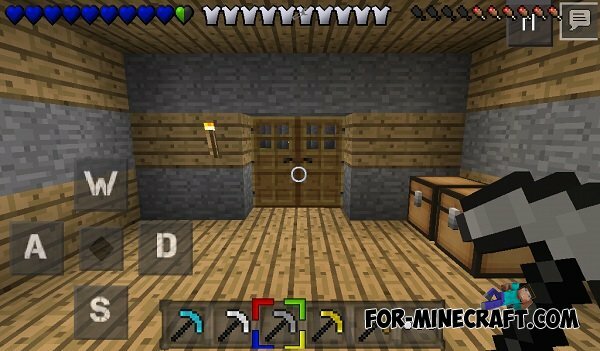 That's what makes this texture - it's just amazing, it changes the texture almost all instruments in the game, and just as in the above privacy blocks that are simply awesome. The lighter has a realistic texture. 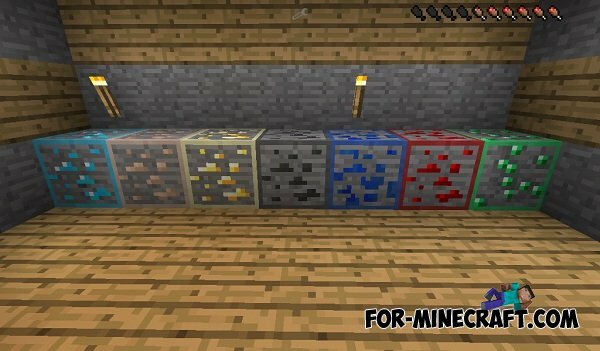 Ore blocks are very beautiful edging. The saddle has a wonderful texture - realistic). Changed the texture of paintings. And so on, a lot of changes, download and watch. Written above some of the most notable changes in the game. The game interface is changed and it is very, very stunning!